Perhaps the biggest restaurant opening of the year has kept much of its menu, look, and feel a mystery, at least up until Life Is Beautiful. NoMad Restaurant from chef Daniel Humm and restaurateur Will Guidara, who are also behind Eleven Madison Park in New York City, plans to open this fall at the NoMad Hotel. The restaurant showcased its brunch dishes during an exclusive event for 100 people during the music festival on Sunday. A carrot tartare came with a pickled quail egg and sunflower seeds, while a sturgeon tarte arrived with trout roe and a crumble on top. In New York, both dishes are meant to be shared. 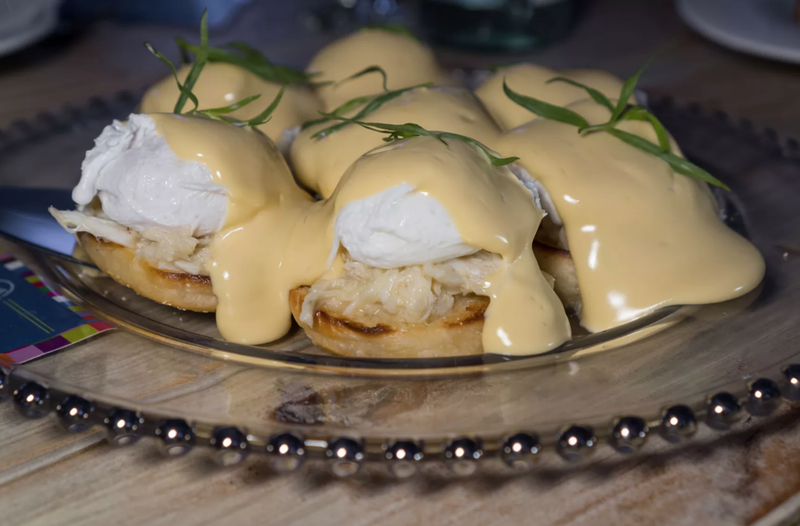 An avocado toast with a soft-boiled egg and a Benedict with crab came to the table as well. Also on the menu, a dry-aged beef burger with fries and a chia pudding. Bar director Leo Robitschek shook up cocktails such as the Start Me Up, a bourbon and rum drink with ginger, honey, and lemon. In New York, the restaurant serves brunch on Saturday and Sunday from 11 a.m. to 2:30 p.m. While NoMad Restaurant doesn’t have an official opening date, the hotel debuts on Oct. 12. Once open, the restaurant plans to take on the look of the Library of NoMad New York with a menu of American classics. The restaurant is perhaps best known for its large-format roast chicken with foie gras, black truffle and brioche with corn.